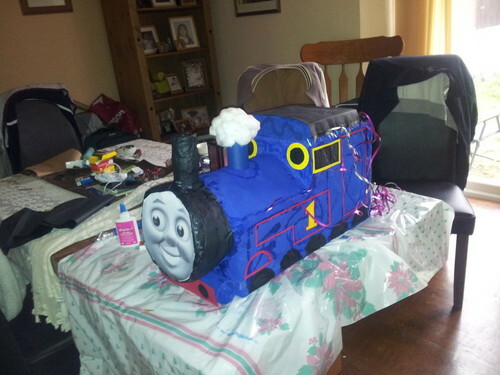 homemade thomas pinata. . Wallpaper and background images in the Thomas the Tank Engine club. This Thomas the Tank Engine photo contains living room, living room, sitting room, front room, parlor, and parlour. There might also be den, single bed, and family room.